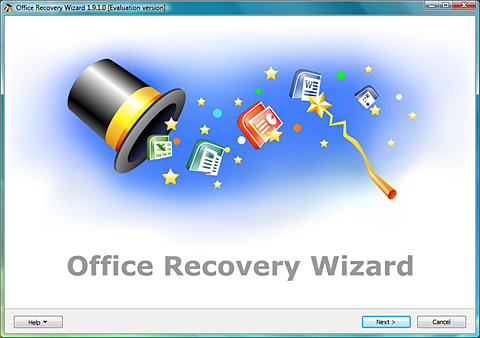 Office Recovery Wizard offers everyone an easy way to recover lost documents produced by Microsoft Office 95-2007, OpenOffice 1 and 2, and StarOffice. Unlike other data recovery tools, Office Recovery Wizard is designed specifically to let computer users without past experience in data recovery restore lost Office documents whether they were simply deleted or the hard disk is badly damaged. It supports Live Preview on all recoverable documents. Recover lost documents produced by Microsoft Office 95-2007, OpenOffice 1 and 2. ...... Use Office Recovery Wizard from a Boot CD! * No space on hard disk? Save recovered files onto a CD or DVD! * Don't have Microsoft Office, StartOffice or OpenOffice installed? Office Recovery Wizard does not need either of them! Office Recovery Wizard supports Live Preview on all recoverable documents. If you can see a document in Live Preview, Office Recovery Wizard can recover it a?? guaranteed! omprehensive solution for recovering MS office passwords. Qweas is providing links to Office Recovery Wizard 2.40.8 as a courtesy, and makes no representations regarding Office Recovery Wizard or any other applications or any information related thereto. Any questions, complaints or claims regarding this application Office Recovery Wizard 2.40.8 must be directed to the appropriate software vendor. You may click the publisher link of Office Recovery Wizard on the top of this page to get more details about the vendor.